Diageo has announced plans to roll out Guinness Mid-Strength in the UK off-trade. The news comes as City insiders discuss the possibility of the world’s biggest drinks company selling the iconic Irish stout to help fund further acquisitions. According to a Diageo spokeswoman, the lower alcohol version of Guinness – with an abv of 2.8% compared to the regular version’s 4.1% – “will be available in selected off-trade outlets from the end of January”. The move will allow Diageo to take advantage of the 50% duty discount on beers with an abv of 2.8% or below, which the UK government introduced in October last year. The company has previously trialled Guinness Mid-Strength in 13 selected pubs, bars and hotels in Fife and Edinburgh, Scotland, in 2009. Meanwhile City speculation has centred on Diageo’s desire to hold on to the brand, despite the announcement last week of a €153 million investment to develop the St James’s Gate brewery in Dublin. 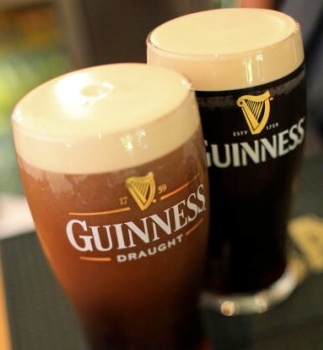 Indeed, Investec’s Martin Deboo has claimed that Diageo might in fact be holding itself back by holding on to Guinness. Deboo suggested that Diageo could then reinforce its position as the global leader in the spirits market by looking at making acquisitions from the likes of Rémy Cointreau or José Cuervo. However, Deboo conceded that finding a buyer for Guinness might prove problematic, with Heineken, “the most plausible alternative owner”, having already made a number of significant acquisitions recently. Beers created around Tax Laws , will they charge 40% less to the customer on tax savings? The local supermarket here in the South of England sells four of these for £4, four Guinness Draught for £4.41, so I guess the answer is no. I’ve just tasted some, and I can work out how they made it mid-strength – they added more water! ’cause that’s what it tastes like.